The Master programme in clinical psychology and psychotherapy (M.Sc.) is designed to convey to psychology students the relevant subject-specific knowledge and the practice-oriented skills and competences required for a successful professional career. Students are enabled to meet others with empathy and openness, take differentiated medical histories, comprehend and describe therapy plans, and apply methods of clinical diagnosis. Potential fields of activity are in facilities of psychosocial and medical care, in coaching, diagnostics and consulting, in human resources, in forensic, traffic, sports and health psychology, in media and communication as well as academic teaching and research. The main focus in the accredited Master programme is on personalized and psychodynamic psychology, another on behavioural approaches. A special feature of the curriculum, apart from in-depth exploration of basic scientific theory and methodology, is the training in practical psychological competences throughout the programme. Students are acquainted with diagnostics and assessment, supervision and coaching as well as methods of psychotherapy interventions, and they learn to distinguish between consultation and treatment. Students address curricular contents in small groups and modern interactive teaching and learning formats such as problem-oriented learning (POL), which permits a structured exchange of information and views and at the same time encourages self-monitored and intrinsically motivated knowledge acquisition. Based on real patient cases, POL stimulates independent and self-organized learning and helps students to absorb and retain the course contents. Supplementary to these case- and problem-oriented learning formats, integrated internships prior to graduation offer ample opportunity to gain clinical experience with real-life patients. During internships at one of our cooperating hospitals as integral parts of the curriculum, MHB Master students have the rare chance to collect data for their Master thesis which under professional supervision in a writing workshop may subsequently be submitted to a journal for publication. With this integration of theory and application, which is unique in Germany, the Master programme in Clinical Psychology and Psychotherapy combines a maximum of practical relevance and patient orientation with excellent preparation for the future job. The teaching language at our university is german! So called self-awareness constitutes a core element of psychotherapy training in particular, in addition to the professional conveyance of theory and strong practical orientation. MHB students can attend up to 60 hours of self-awareness training in therapy or group sessions over the course of the Master programme. They explore and reflect personal experience and behaviour, specifically in challenging situations, under supervision and in a protected environment. Self-awareness promotes a better understanding of therapeutic interaction and expands personal competences in dealing with patients. The mentoring programme is another context for Master students to test their soft skills and become sponsors for less advanced students. This is the training ground for basic therapeutic competences such as guiding, supporting or giving feedback. Two supervision meetings are scheduled for each semester to analyse the experience gained. In addition to subject-specific courses, students attend Studium fundamentale events to familiarize themselves with philosophical, social and artistic perspectives beyond the boundaries of their chosen discipline. For many of our graduates there is the unique chance to find a job at one of our university hospitals or other cooperating facilities. This means that MHB not only provides excellent professional training but also a job guarantee. The Salus scholarship programme, for example, invites the best graduates of each class to enter professional life immediately upon graduation and start training as a behavioural therapist. The programme includes guaranteed employment at the clinic as well as further financial support for training in psychotherapy. Numerous other scholarships have been established to ensure that studies at the MHB are not a matter of funds but of character and individual suitability; they cover monthly stipends of up to 500€ for the entire standard period of studies. Moreover, a tuition payment scheme has been set up by our cooperation partner Chancen eG which provides for income-based repayment after graduation - in other words: a concept of educational funding that is based on social justice, fairness and solidarity. For more information on different options of tuition payment see here. The state-recognized MHB Master qualifies for training as a psychological psychotherapist, or a psychotherapist for children and adolescents. 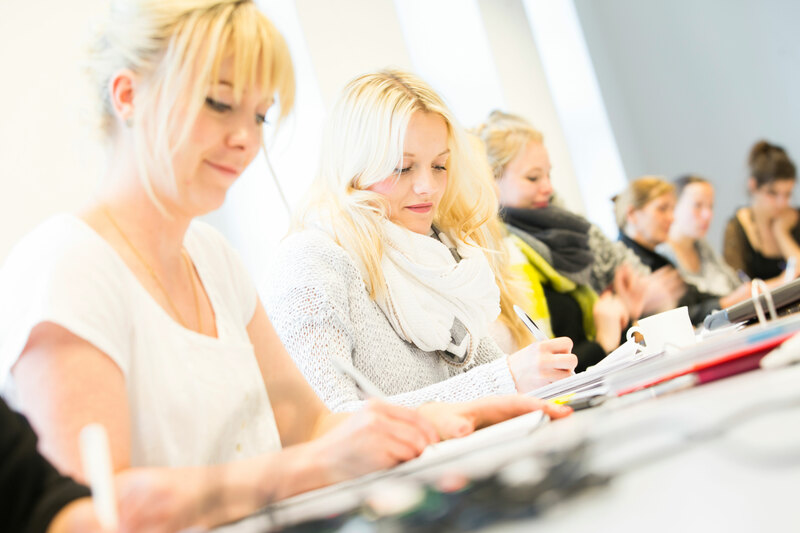 MHB Master graduates also meet requirements for training set out in § 5 (2) PsychThG (psychotherapy law) and for admission to pertinent state examinations in Brandenburg. They may also pursue doctoral projects.